Using a vegetable peeler, peel the zucchini into long strips until you reach the seed core on all sides. 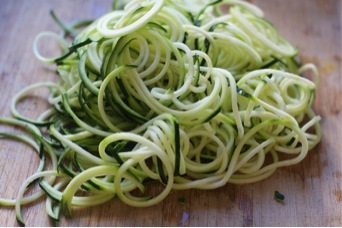 The zucchini should resemble noodle-like strips. Top it with your favorite sauce,meat, vegetable, etc. for a little more flavor!